Contemporary St Petersburg. Lakhta Tower’s aerial view – Photo by Viktor Sukharukov © Lakhta Center. Russia – Welcome to the hometown of the Tsars and Dostoevsky’s, the city where the Russian Revolution begun and where the Soviet era can be discovered through impressive buildings. 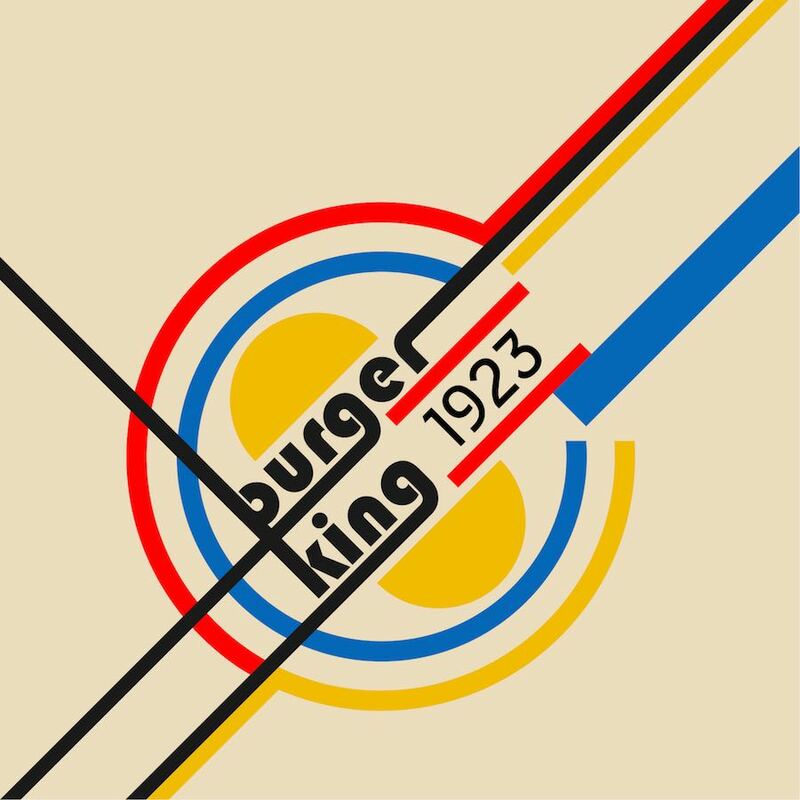 Welcome to a metropolis able to celebrates its past and look ahead too. 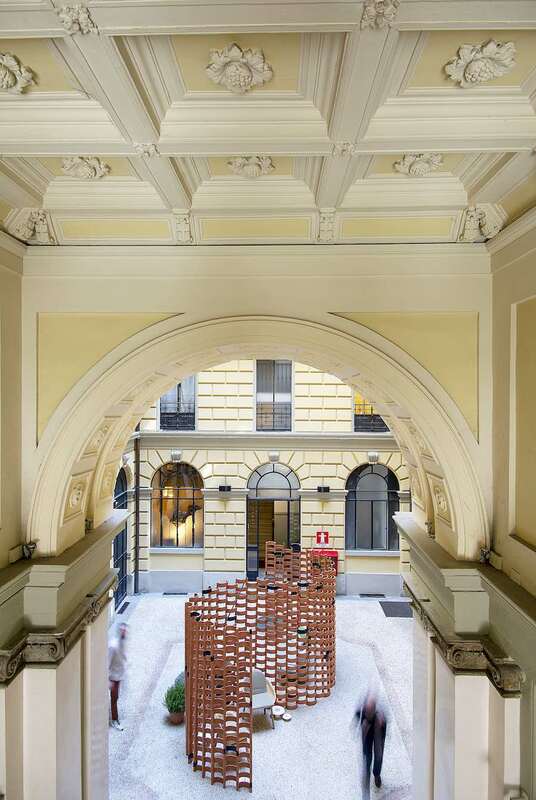 7 architectures unveiling the true soul of contemporary St Petersburg. 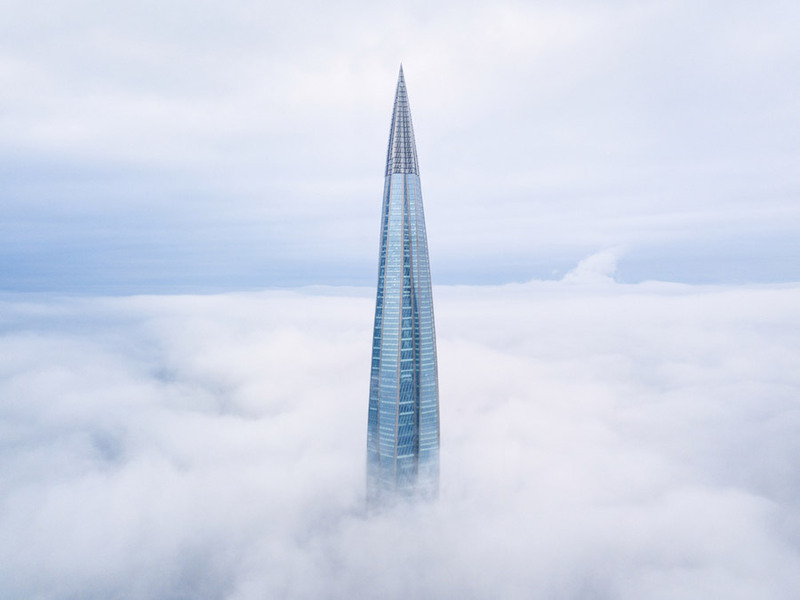 The recently completed Lakhta Tower is Europe’s tallest building and the northernmost skyscraper in the world. 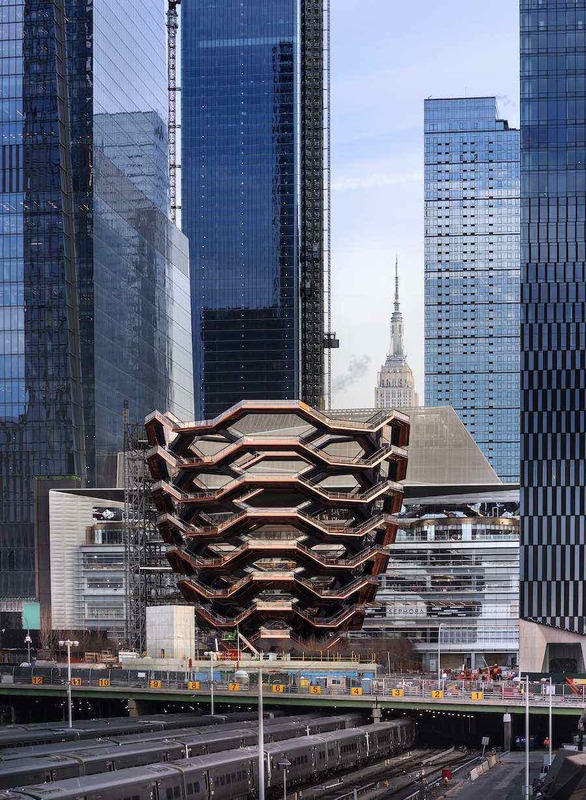 Like a flame or a winding needle, the 462-metre high high-rise twists a full 90 degrees from its foundation to its top. The building’s facade is Nordic winters-proof and sustainable as well: 16.500 individual glass panes have been fitted with automatic shutters and valves in a bid to reduce heat loss. 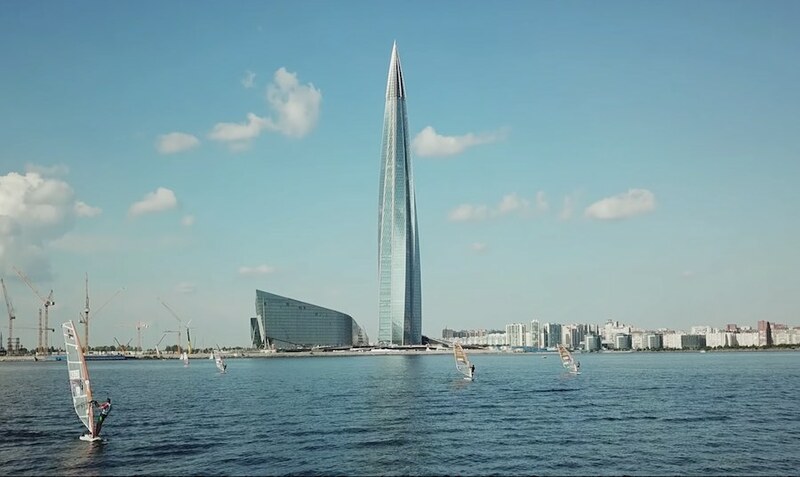 The landmark tower rises at the center of the new Lakhta business center which will serve as the headquarters of Russian gas giant Gazprom but will comprises also and educational complex as well as a sports complex, a children’s techno-park and a series of free public facilities and commercial spaces. Frame from Teamlab.Pro’s YT video, [WATCH]. 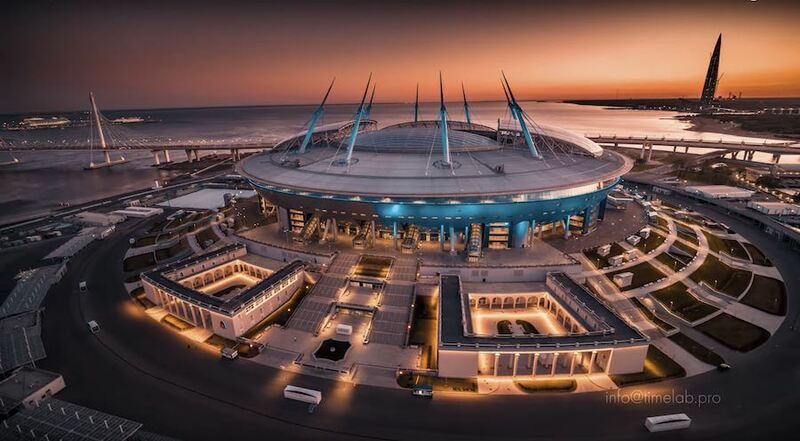 St Petersburg Stadium is home of Russian football club FC Zenit St Petersburg and was designed in 1978 by Japanese architect Kisho Kurokawa to look like a spaceship. 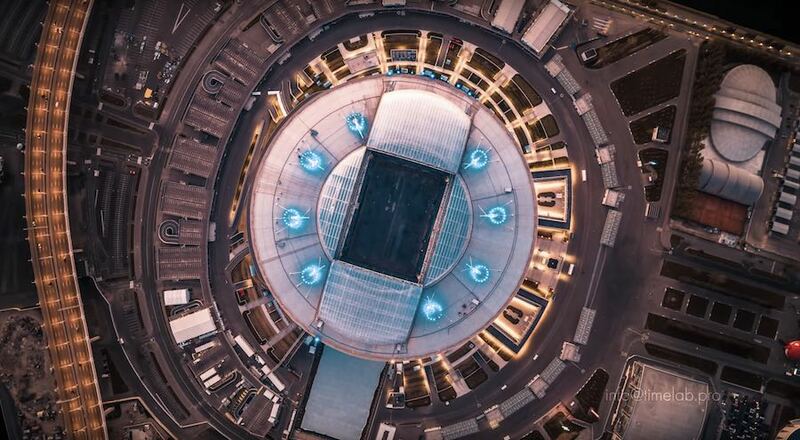 The 78-metre-tall structure features a retractable roof, to allow games to take place in all weather, and a 67,000-seat capacity. Frame from Teamlab.Pro’s video, [WATCH]. Initially planned to be completed by December 2008, it inaugurated in 2017 – being 548% over budget – for the 2018 FIFA World Cup. At a cost of $1.1 billion at current exchange rates, it is considered one of the most expensive stadiums ever built. Bolshoi Obukhovsky Bridge – Photo by Ludmila Olennikova, CC. Inaugurated in 2004, the 2.8 Km long long Bolshoi Obukhovsky Most is the newest bridge across the Neva river. The total length of the bridge passage is, including 382 meter long span and ramps; the height of the main span is 30 meters. Supported by steel wire-ropes he cable stay bridge is the only river crossing which is not a drawbridge. Photo by Yuri Molodkovets courtesy of Grimshaw. “All airports kind of look the same, really. 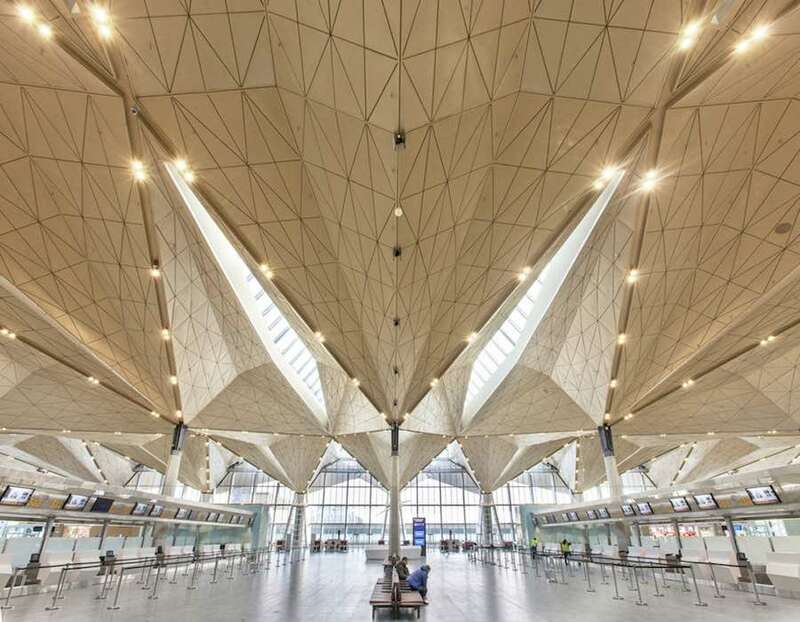 Tat’s why we designed the new Pulkovo International Airport to convey the city’s spirit, with a contemporary twist”, say at Grimshaw Architects who created the most likely first and last destination of over 12 million passengers each year. 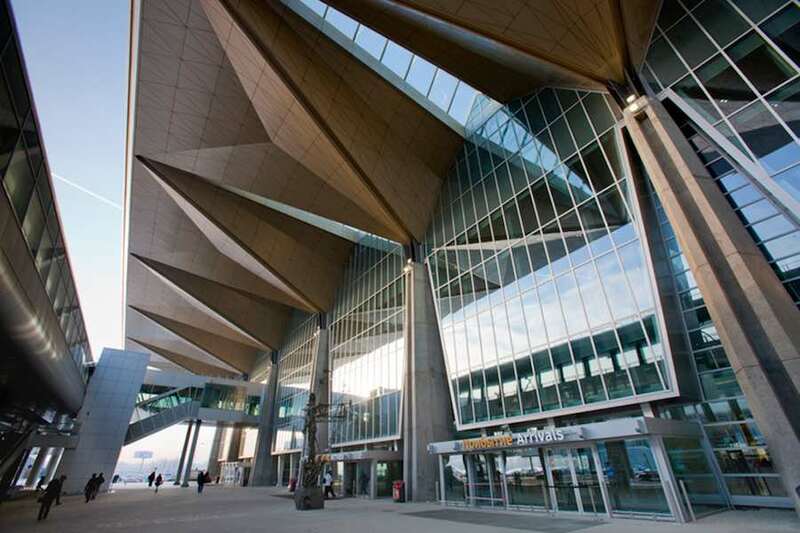 Formed by twelve, 18-metre-wide bays, the airport’s predominantly flat roof is engineered to evenly distribute snow loads, and is pierced by steep, inverted prisms that project above the roof datum and assist in disposing of meltwater. Street Art Museum – Photo via IG, follow @strartmuseum. 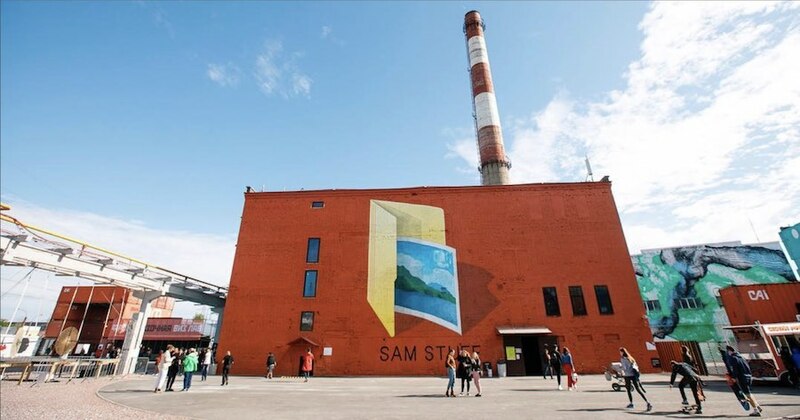 From 2011, a 200.000 square metre post-industrial canvas has been taken oven by street artists who turned the abandoned areas of the Stoplast factory into St Petersburg’s Street Art Museum. The open air museum is an ongoing project located 20 minutes by bus from Plshchad Lenina. 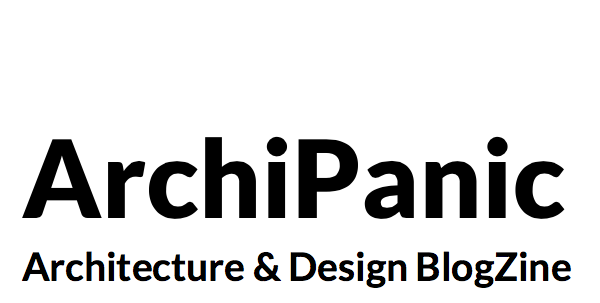 Register in advance to visit and join a guided tour. Here, the late Pavel 183, a.k.a. the Russian Banksy, created the political monocromatic mural “Wall don’t sleep”: a reproduction of of old Soviet pictures of the factory in the ‘60s as a way of deepening the meaning of the current factory workspace. Loft Project Etagi – Photo via IG, follow @loftprojectetagi. 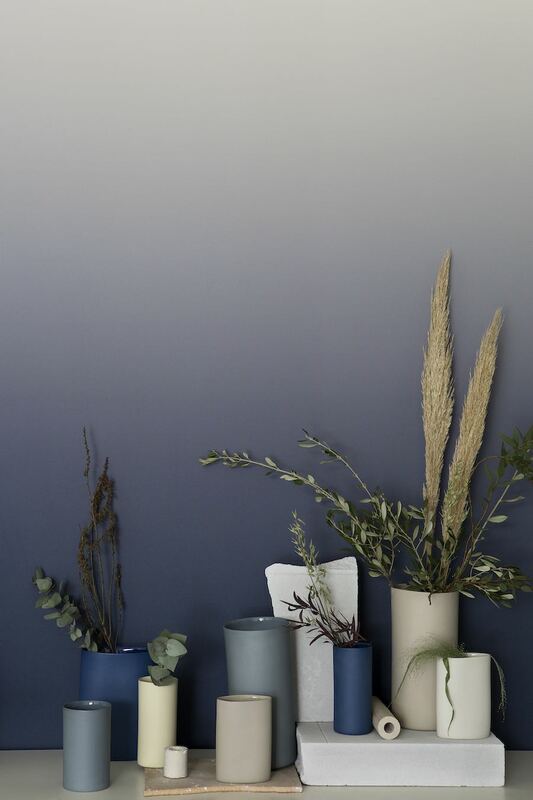 Located in a former bakery, Loft Project Etagi turned a former industrial plant into a millennials creative hotspot with local designers shops, indie magazine, rooftop bars, tattoo shops and ateliers of relevant photographers, artists and sculptors. All cohabiting in a 5 stores complex and a courtyard hosting a “container street”. Etagi organises also concerts, events and workshops, event and a Urban Poetry festival. Golitsyn Loft – Photo by Enrico Zilli ©Archipanic. 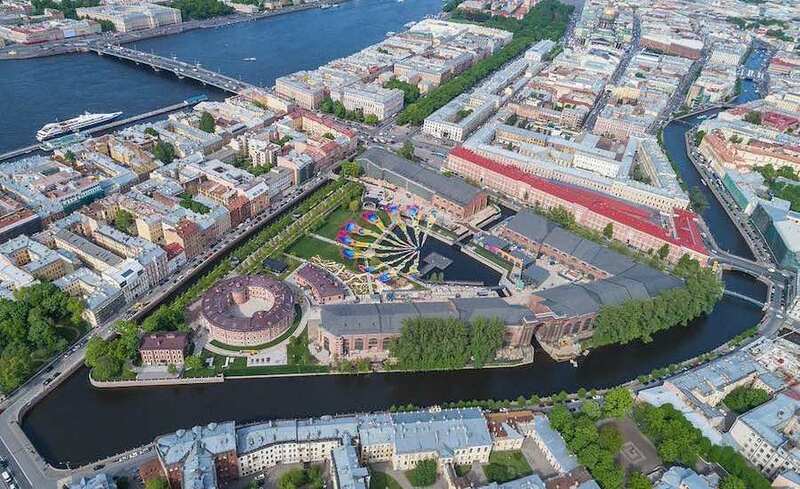 At the Golitsyn Loft, start ups, a dj school, emerging design studios and young creatives share the rooms of an historic building on the Fotanka canal just across the Mikahilovsky Castle. 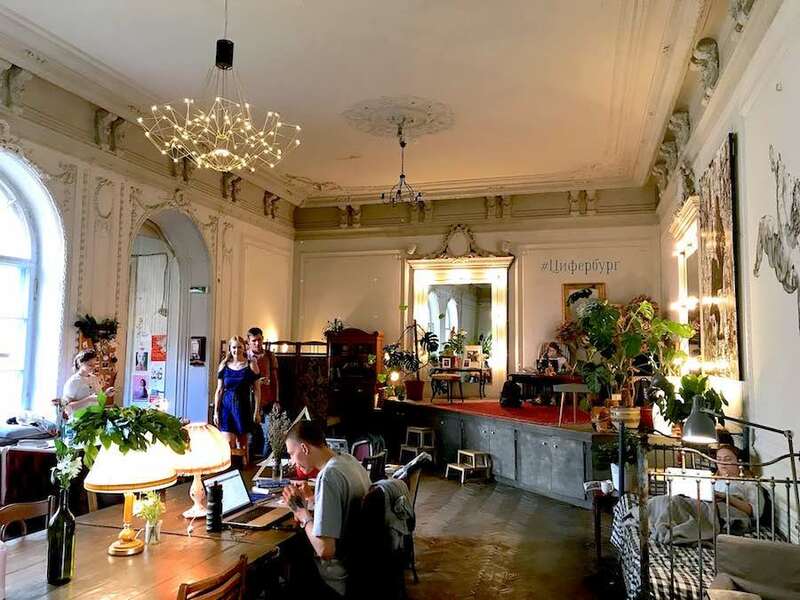 At night, they all gather in the palace’s courtyard where pub, a Georgian bistro and bars animate an informal venue where to make new friends. 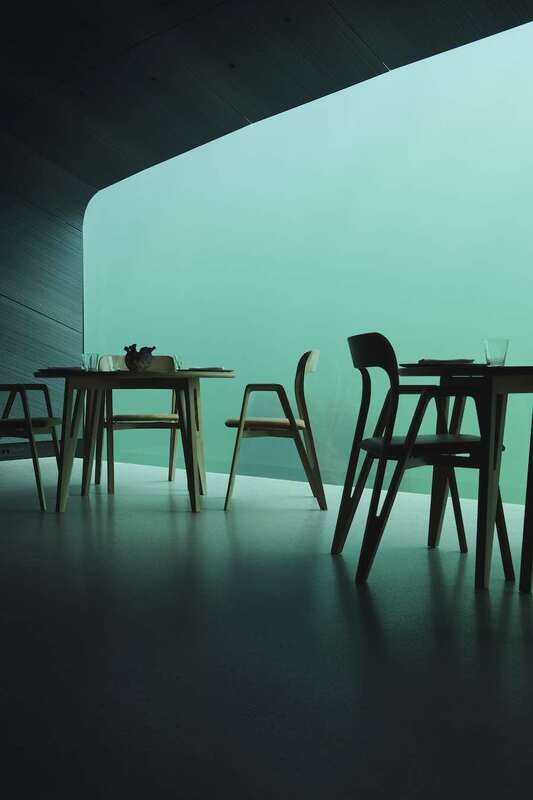 On the first floor, a luminous apartment has become a co-working cafe with a view on the canal. New Holland Island. 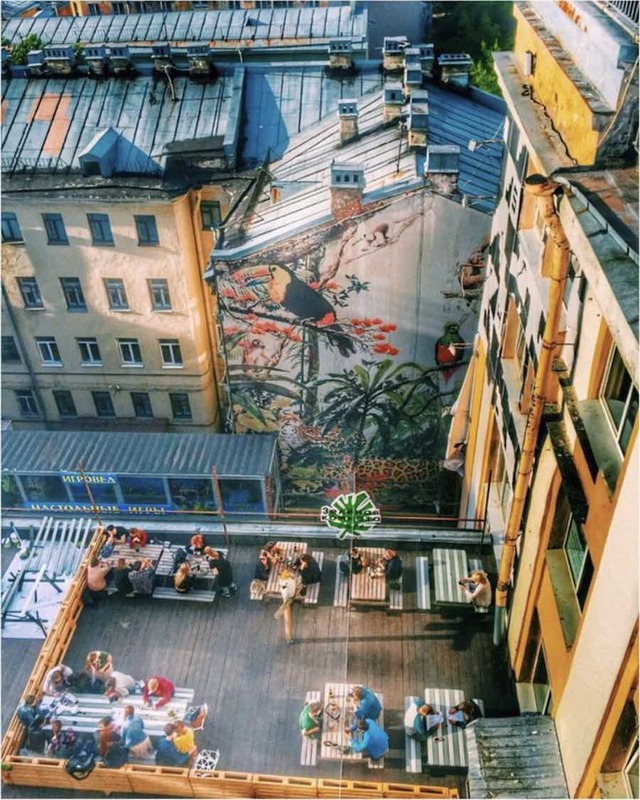 Herbs garden and the Foundry – Photo by Egor Rogalev. Located in an artificial island in the heart of St Petersburg, the New Holland Island complex opened to the public in 2016. The area used to be Naval force territory and for decades was largely off limits to the general public. Dutch landscape and urban design firm West 8 created a new park zone dotted with temporary pavilions. New Holland Island – Photo by © A Savin, Wikimedia Commons. 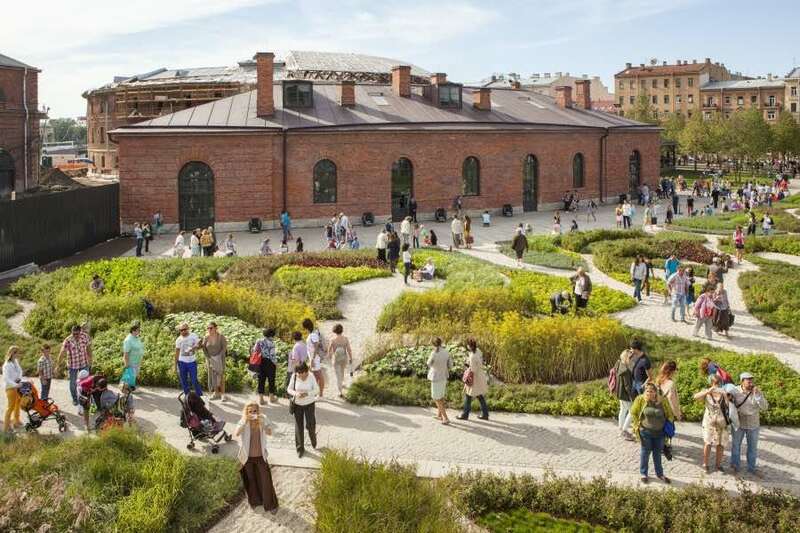 The project redevelopment was financed by Roman Abramovich and Daria Zhukova – already behind the Garage Museum on Moscow – and is due to be completed in 2025 combining commercial and residential properties with the restoration of monuments that are protected by UNESCO. 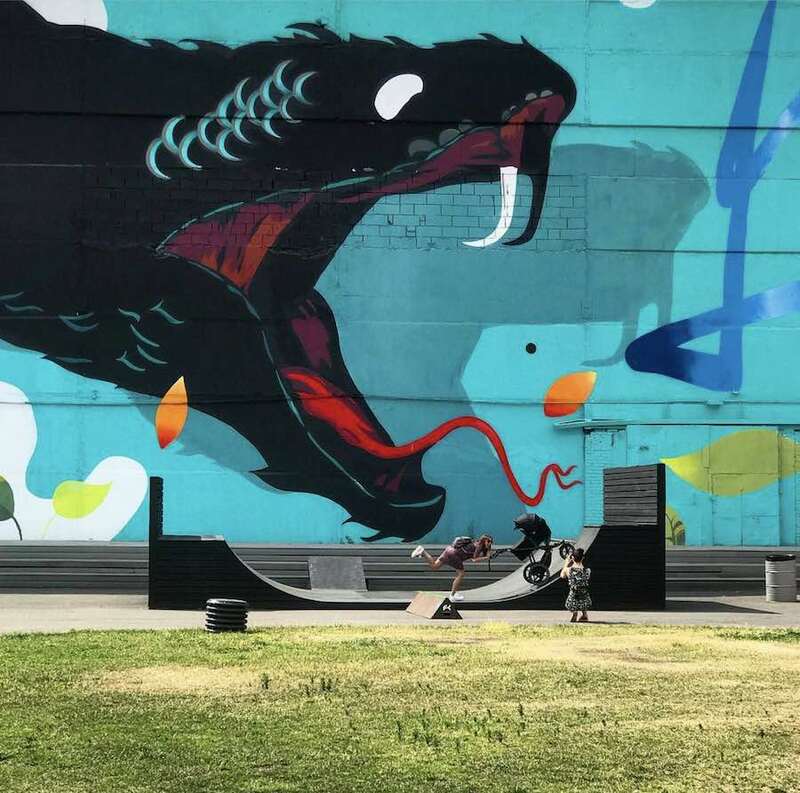 Contemporary St Petersburg – Video below: Pavel 183 creates the mural “Wall don’t Sleep” at the Street Art Museum.